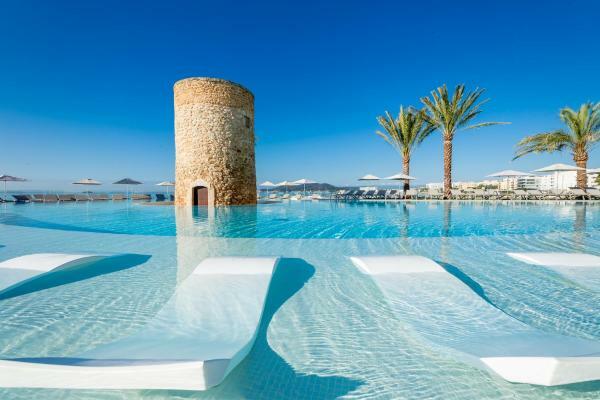 Torre del Mar Hotel, on Ibiza’s Playa d'en Bossa Beach, features an outdoor pool, and spa. There is free Wi-Fi, and most rooms have sea or mountain views. 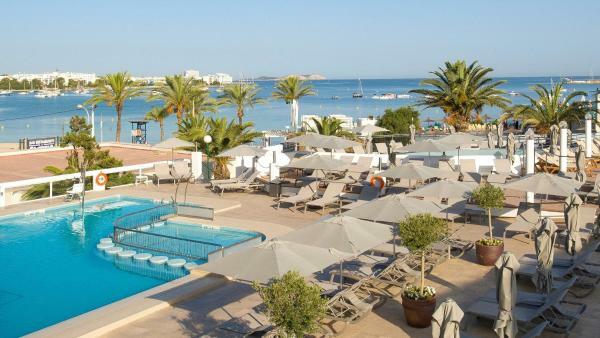 The Hotel Playasol Cala Tarida is just 100 metres from the beach in western Ibiza. It has 3 swimming pools. 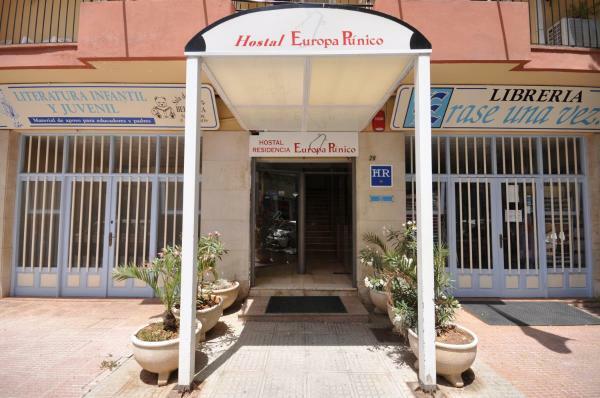 The rooms in the Hotel Playasol Cala Tarida have air conditioning and satellite TV. They also have balconies; some have sea views. Insotel Fenicia Prestige Suites & Spa is situated on the seafront next to the Santa Eulalia River. The hotel provides free access to the fitness centre and offers many treatments in the Prestige Spa at an extra charge. Ibiza Airport is 21 km away. 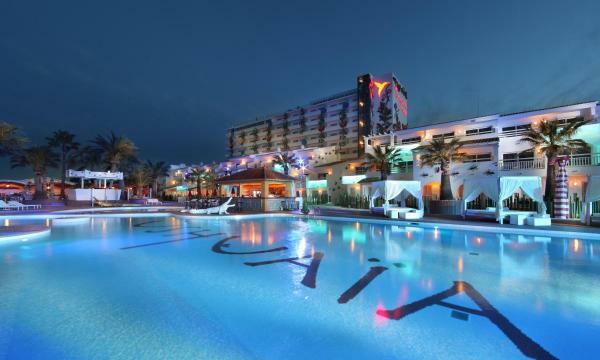 Set on Playa d’en Bossa Beach, the adults-only Ushuaia Ibiza features a spa and 2 outdoor pools with large sun beds. Guests enjoy free entrance to live DJ performances hosted by the hotel. 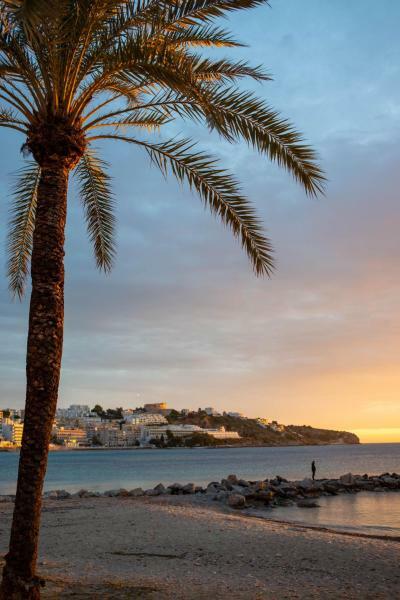 Situated in Santa Eulália del Río, Iberostar Santa Eulalia is just 20 metres from S’Argamassa Beach. 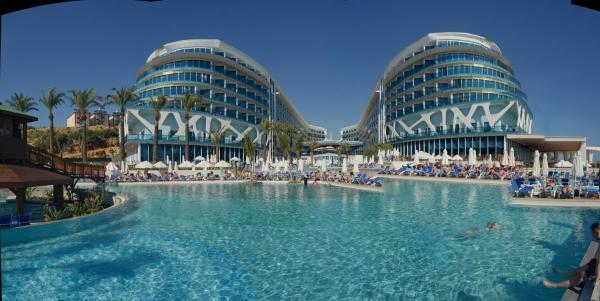 This hotel is for adults only (aged 16+) and offers an outdoor pool and a terrace with sun loungers. 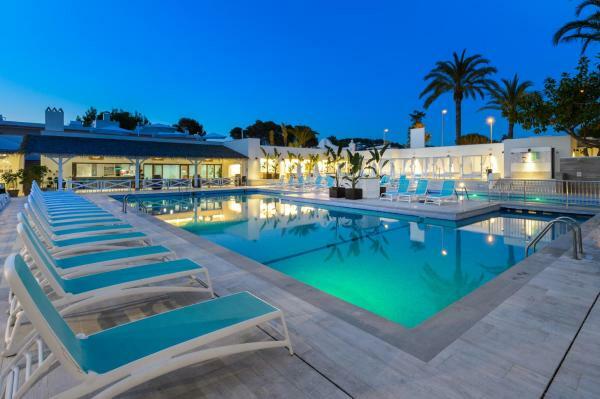 Featuring an outdoor pool, Tropicana Ibiza Suites - Adults Only is located in Playa d’en Bossa. This property offers free Wi-Fi throughout, a 24-hour lobby bar and terrace, and 24-hour front desk. 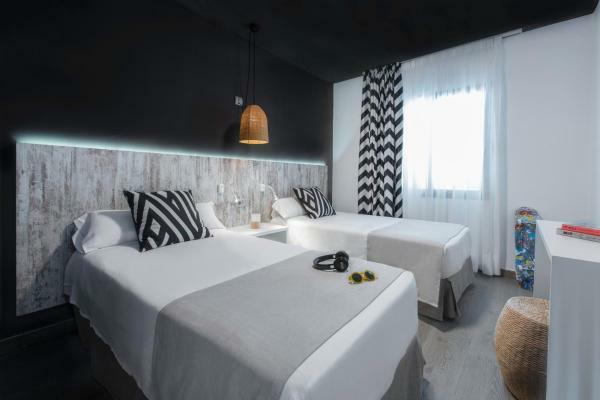 Set in Ibiza’s lively Playa d'en Bossa, the Aparthotel Playasol Mogambo are just across the road from the beach. The complex offers an outdoor swimming pool. 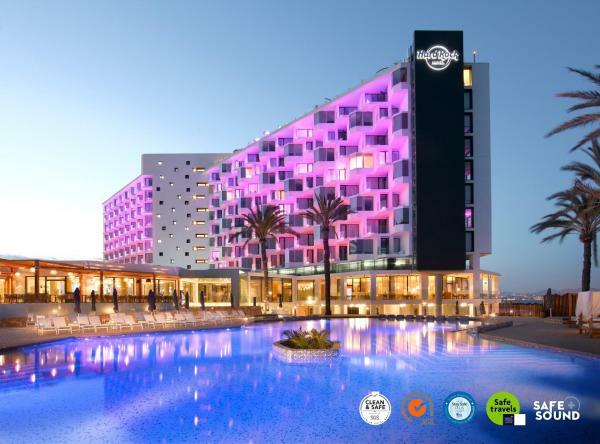 Hard Rock Hotel Ibiza is located right on the beachfront in Playa d'en Bossa. This modern hotel has a large open-air stage hosting prestigious weekly concerts. Free Wi-Fi is available throughout the property. 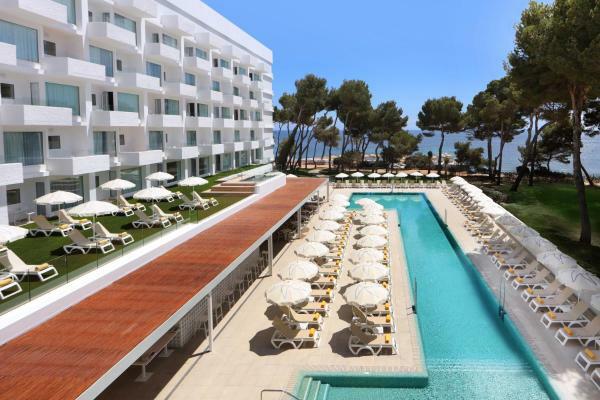 This beachfront holiday hotel is set on the golden sands of Playa d’en Bossa beach – the perfect setting for a family holiday in the sun. 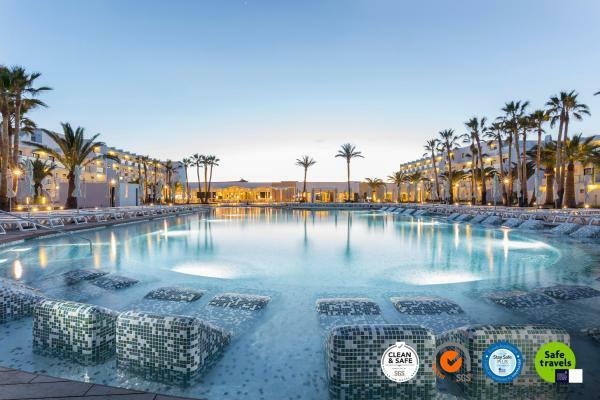 Set on the beachfront at San Antonio Beach, AxelBeach Ibiza is an adults only, hetero-friendly hotel featuring 2 outdoor pools, a free spa and a gym with sea views. 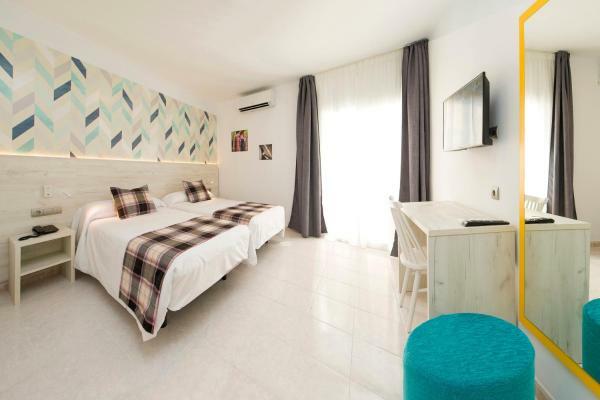 Situated 500 metres from Ibiza Port, Europa Punico offers rooms with free Wi-Fi, air conditioning and a private bathroom. There is a bus stop 5 minutes’ walk from the guesthouse. A breakfast buffet is served each morning. Hotel Playasol Lei Ibiza - Adults Only is 100 metres from Ibiza’s Figueretas Beach, 10 minutes’ walk from the old town. 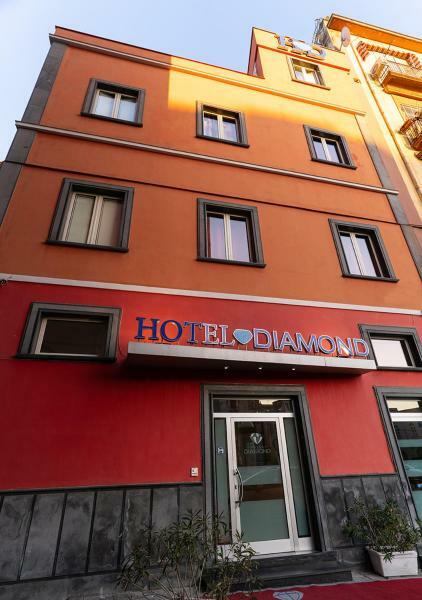 This hotel offers free Wi-Fi, 24-hour reception and an outdoor pool with a sun terrace. 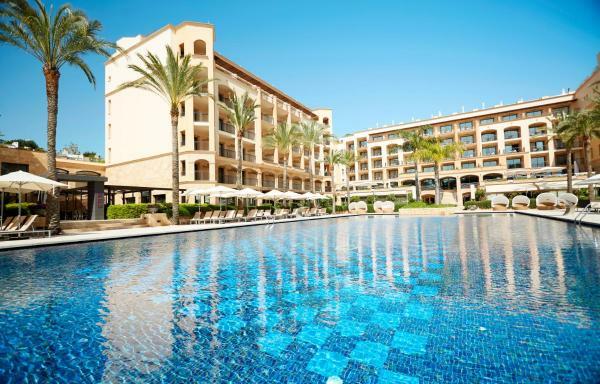 The Bellamar offers indoor and outdoor swimming pools, and a spa with gym. 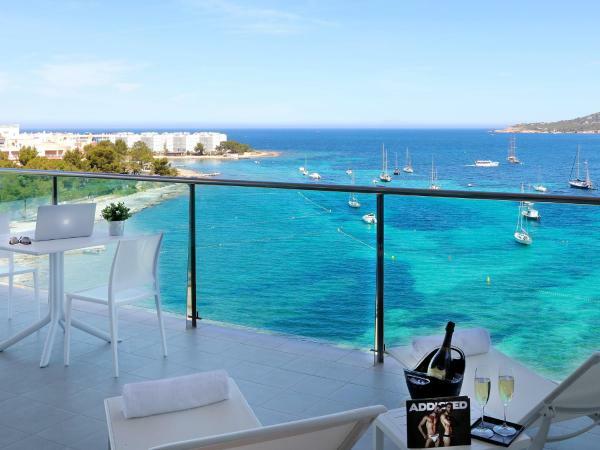 The hotel is set next to Ibiza’s San Antonio Bay, just 50 metres from Es Pouet Beach. Free Wi-Fi is provided. The hotel is near the seaside promenade.